Here’s the scenario: Management starts to lose control over a company’s work. Teams are operating without full context or feedback loops. Product becomes highly reactive. HR’s busy and top performers are looking to jump ship. Those who stay start to complain about the lack of direction. Nearly all technology companies — from small startups to big successes — have experienced at least one of these symptoms. Take it from OpenTable CEO Christa Quarles. Over her career, she’s become virtually clairvoyant when it comes to identifying when, how and where companies are about to break — and early enough to save the day. Without question, Quarles comes from resilient stock. 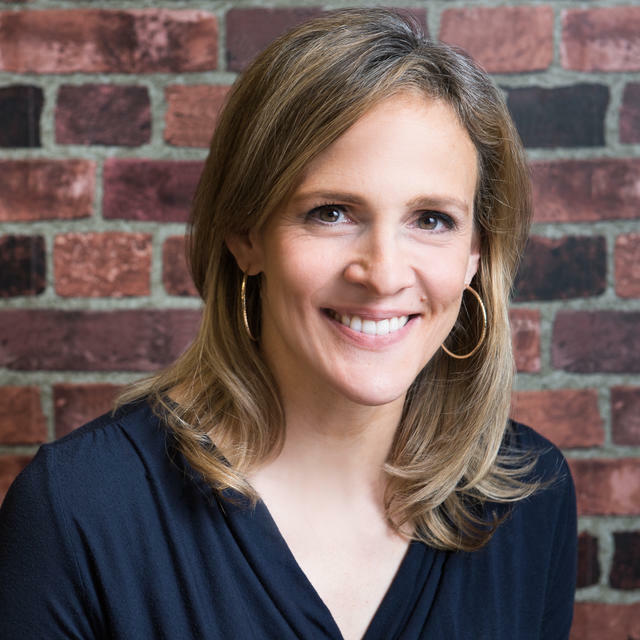 She grew up with six siblings, her husband’s a former Navy Seal, and four months after joining OpenTable as its CFO, she was named interim CEO and elevated to permanent CEO two months later. In this interview, Quarles draws from a rich career across industries to share her war stories and hard-earned wisdom about how startups can survive their breaking points. She offers three strategies to fortify companies for change, and charts four key areas to monitor for fissures during growth: headcount, revenue, users and geographic expansion. With her predictive acumen and figurative duct tape at the ready, Quarles may be your company’s Nostradamus meets MacGyver. Most startups either proactively establish process (like standing meetings, systems, protocols) to support fast growth or push until something breaks and then assess if it’s worth fixing. Instead of swinging to either end of the spectrum, Quarles champions reactively leaning-in, which requires continuous calibration. Work toward — and be affirmed by — problems. The success and survival statistics of startups are referenced often, but, according to Quarles, more attention should be paid to how often companies temporarily break, not completely fail. When a company — or anything — breaks, there’s an interplay of counteractive forces, and related movement, tension and traction. There’s an opportunity to re-channel or redirect energy. Failures become one-directional and are characterized by stagnancy more than dynamism. To grow, you must break. Like a snake shedding its skin. Establish a clear line between the finder and fixer. For startups equipped with Quarles’ three principles around company breakages, here are the four areas to keep a close eye on for cracks. Because no two companies experience growth the same way, Quarles has discovered that asking the right questions periodically is the tactic, rather than prescribing generalized solutions. So, interlaced with examples and tips, she highlights key questions that leaders — and their teams — should ask themselves to stress test their organizations. While at Playdom, an online social network game developer, Quarles saw the company through a $760 million acquisition by Disney, but not before she helped the startup buy and integrate seven companies — at an approximate clip of one acquisition per month. One Monday morning, Quarles took stock. It was the first day for 30 new hires. And over the preceding six months, the startup had onboarded 500 new people. This rapid growth splintered their HR processes, finance systems and engineering org chart. Quarles has learned to ask the following three questions to identify any chinks in the armor due to ballooning employee growth. What percentage of first-time managers are in action? As companies in hyper-growth add headcount, it’s common to elevate individual contributors to leadership positions. While internal promotions come with cultural fit and invaluable institutional knowledge, they may not yet be equipped to see around corners as managers. Is it easy to clearly outline how we delegate and escalate key decision making? Are managers having 1:1s with their people? Are they giving feedback back to their reports on their progress? Are new managers’ reports happy in their work? Do new managers have people they can turn to as a lifeline? How quickly do managers get back to you with status updates? Throughout her career, Quarles has found that when her reports don’t have answers to simple questions, it wouldn’t be long until the wheels fell off the wagon. In one instance, she noticed that features of the company’s website stopped functioning. The short term solution was fixing the code, but the underlying trouble was in the Q&A process. She knew that because her engineering managers couldn’t answer where the release was in the approval process. How monocultural is human resources? When Disney acquired Playdom, Quarles knew to zero-in on one specific department: human resources. Attention is more often given to how engineering or product management teams integrate. Yet, during hyper-growth and milestone mergers, Quarles likes to gauge the integrity of the team that’s logistically defining how a company’s people are brought together. Frequently conduct litmus tests to spot the breaking points in your company, especially when it’s scaling quickly. Growth covers a lot of sins. What’s different about how the company’s investing in its growth versus in the past? When Quarles started at OpenTable, the company had been acquired for about a year, public for six years and in business for 17 years. Long past were the days when it brought restaurants online by installing cable to show the value of its web-based reservation service. Today, OpenTable doesn’t need to invest in connectivity; the catalyst for growth has changed. Learn to call audibles. An above-average read of your environment is better than sticking to a perfectly drawn-up play — even if that plan once brought success. Are there limitations to the network effect? Around 12 years into OpenTable’s operation, network revenue surpassed subscription revenue for the first time. This was a milestone for a business that, for many years, was almost entirely subscription-based because there was little to no network of restaurants. Since 2010, OpenTable’s revenues have been increasingly — and very heavily — composed of network revenue. “The trade-off between subscription which is fixed and network revenue which is variable has made for a very dynamic evolution,” says Quarles. Given its broad network of restaurants, OpenTable is a geographically-defined business. More restaurants mean more revenue, but also more diversity in customer behavior. For example, what works for patrons in Nashville doesn’t work for diners in New York. If OpenTable expands with its product in a regionally agnostic way, fissures will form and start to weaken the business. The bottom line: repurpose your best use case as an initial comparison, not a template. For OpenTable, that means juxtaposing its American cities with its first municipal market, San Francisco. Or, if taking a broader regional analysis, by comparing the US market with the European market. “The exercise is to compare, not replicate,” says Quarles. “The starting point, development and solution for that market will not be the same. But it will accelerate the path to unveil that market’s levers, economics and cultural peculiarities." Can you configure your product easily for cultural differences? “In America, we list breakfast, lunch and dinner, but in Australia, people reserve for breakfast, lunch, teatime and dinner,” says Quarles. “All of a sudden, there’s an entirely new category of dining experience. On the back-end, it was an easy fix, but was important to provide restaurants with this capability as it matched their hospitality style.” Also, OpenTable has discovered a spike in reservations from restaurants offering deals in both the UK, so it has started to pilot specific offer-based products in select markets that it plans to take globally. The buildings that stay up during earthquakes are designed to move with the vibrations, not outfitted to resist them. Learn to tango with the tremors. What are the edge cases with users and how can we get to them faster? Skilled drivers know that the most controlled way to take a curve at high speed is to accelerate through it. And so it goes with testing for breakages during rapid user growth. Are there dedicated eyes on analytics around launches and releases? Given that no amount of testing will prevent breakages from user growth, Quarles champions continuous monitoring of user activity. Depending on a company’s resources, the responsibility may be concentrated in a role or shared across the broader team. When Quarles asks a company when it last broke, she’s not digging for vulnerability, but searching for accounts of strength. She gets concerned when she sees a company that has been around for decades that hasn’t experienced a breakage due to hiring sprees, dried up growth strategies, market expansion or extreme user gain or churn. There’s no foolproof plan to keep fissures from eventually shattering your company, but you can almost guarantee extinction if aren’t preparing for — and getting affirmation from — a breakage in your company.